Fr. 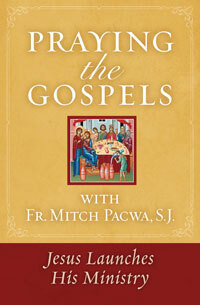 Mitch Pacwa has a gift for opening up the Scriptures, and he offers Catholics such a gift in this book of meditations. 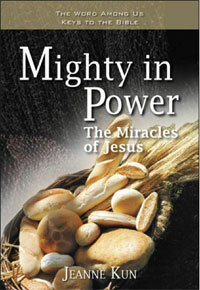 The first volume in this series dealt with the beginnings of Jesus' ministry. Now he moves on to Jesus' miracles during his Galilean ministry. 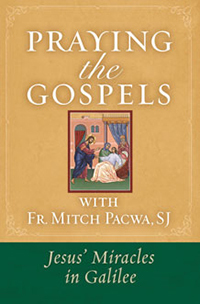 Based on Ignatian principles, the meditations are meant to help readers use their imagination to enter into the Gospel scene and experience the presence of Jesus. In each meditation, Fr. Pacwa provides fascinating background information about the text, such as the geography of Palestine and Jewish customs and ideas. Then he asks a series of questions that are intended to lead readers into a deeper examination of their own life and mission in the world today.